After my first Drivers Education weekend, I was hooked. 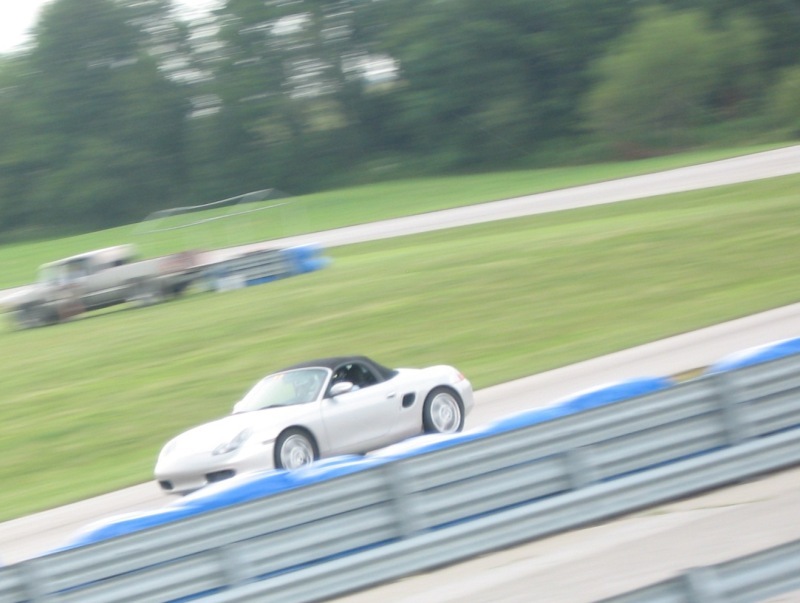 I loved the opportunity to take my car to a road course and push my own limits (if not those of the car), all while having an instructor in the car with me and not worrying about being faster than anyone else. I felt safe and had fun, so I was back for a second time. I was not surprised that I remembered the road course completely. I didn't lose much from my previous time on the track, but it took me until the end of the first day before I was back to where I finished the first weekend. However, by the end of the second day, I could feel a huge difference in my driving abilities. I knew and expected the slight 4-wheel drift through fast corners and I was able to hit every point on the track the way I envisioned them happening. I increased my corner entry speed to levels that were approaching the ability of the car and I identified portions of the track where I need some improvements. I experimented with threshold braking, but it didn't work so well. The time I gained around the track was marginal because I was braking for too long. And because all of the brake applications were as late and as hard as possible, the brakes absorbed quite a bit of heat. Enough that it boiled the brake fluid — a soft pedal is something you never want to feel! Luckily, I could tell when it was happening and I had no problems safely driving around and exiting the track. TJ and Christine helped me bleed the brakes and I was ready for the next session. My wife Nicole come along this time. I wasn't sure if she would enjoy it as much as I did. It's a mostly-male group and I think she felt too much pressure to prove herself. It wasn't until the last run on Saturday that she relaxed and experienced some fun on the track. As with my previous DE weekend, the people I met were every bit as great as the cars on the track. I missed seeing some of the people that didn't make it back from my first outing, got to be better friends with those who did return, and also met some great new people. Even if you don't have a car, the people alone are reason enough to return. It was fun, I said so in my blog!